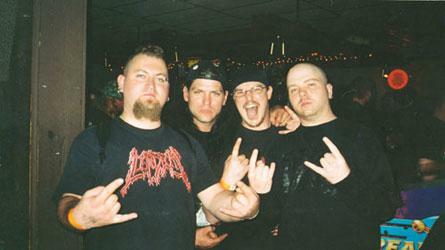 Putrid Pile is an american brutal death metal band formed in Wisconsin U.S.A by Shaun LaCanne (previously of Numskull). Influened by acts like Cannibal Corpse and Dying Fetus he immediately set out to create some of the most intense, sickest and guttural death metal around. 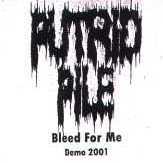 By the end of 2001 the band had enough material to record it's first demo, entitled "Bleed For Me"; the demo was first released to the public at the Milwaukee Metalfest (2001)to which is recieved a great response. The band began to focus on live shows afterward, handing out free copies of "Bleed For Me" to anyone who would take one and continued to recieve great responses from the underground metal community. Putrid Pile soon caught ear of United Guttural Records to which they signed a one record deal with them. After the signing, Putrid Pile went into strict writing mode. Writing a total of seven more songs, along with the five songs from the demo, to record the first full length, “Collection Of Butchery” which was released in early 2003.